Smart Gutter Solutions is based out of Duquesne. 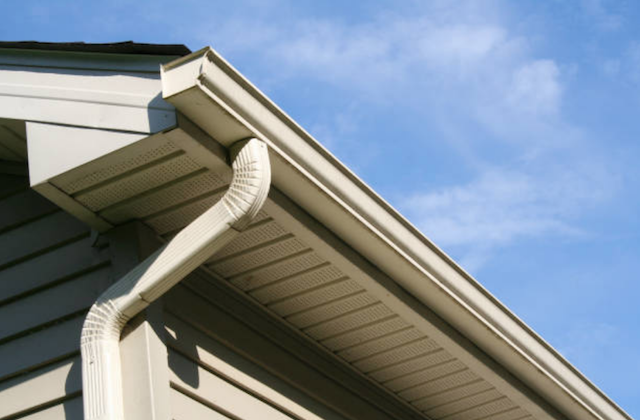 We offer professional gutter services for houses and commercial properties in our location. Our services we offer include gutter cleaning, repair and custom installation. We even install gutter guards! Gutters are in good hands with our company! Schedule today! Don’t Live in Duquesne? We Serve Several Locations in Pennsylvania! Smart Gutter Solutions sends local technicians to your location to provide an in-depth review of the gutters and downspouts. We then submit a written cost estimate for our gutter cleaning service before our technician starts the cleaning process. When there is evidence of noticeable damage to the structure or visible deterioration in the process of our inspection, our technician will make you aware of it. Depending on the severity of the damage to the gutters, it is possible the technician will encourage gutter repair or eventual replacement. 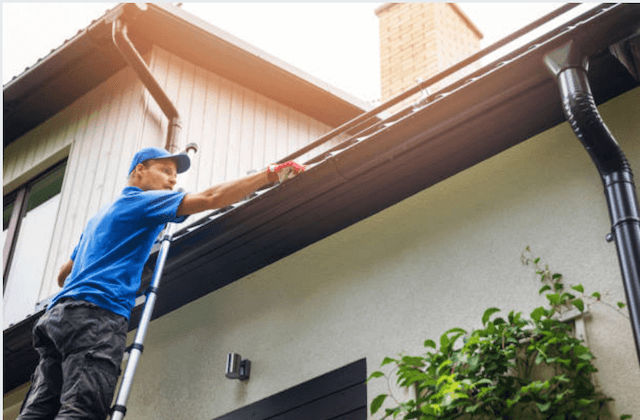 The gutter cleaning service, from beginning to end, will last around 1-2 hours depending on the size of your home or business and the current condition of the gutters. Homeowners don’t have to be present at the time of our service. If you happen to be home, the technician will inform you when the cleaning service is over and answer all questions. Smart Gutter Solutions is able to perform a range pf gutter repairs for both houses and commercial properties. Our trained technicians often identify damage and potential issues during our professional gutter cleaning that most homeowners are often not aware of. It is necessary to schedule all gutter repair projects as soon as possible before the next bad storm or bout of bad weather. Smart Gutter Solutions recommends inspecting the gutters on your home right after severe weather and in autumn after winter. Most gutter damage is the result of extreme weather. Signs of damage include pooled water, bent, loose or detached gutters, seeping gutters and leaking gutters. If you identify any of these problems on your gutters, we recommend to call us right away! Do not put off gutter problems. It will just cause bigger problems. Smart Gutter Solutions advises residents of Duquesne to install gutter guards on their gutters. The quicker the better! The initial cost of professional installation plus materials is well worth the numerous long-term returns. Gutter guards protect houses from rain overflow, unwelcome pests, mold growth and more. And, leaf guards will reduce the need to clean rain gutters several times during the year. Install leaf guards and there won’t be a need to clean your gutters more often than once every year. Our technician will schedule a time to meet at your home or business then review the products we install in our service and our detailed process. Our company offers most brands and models of gutter guards. Our team will help you decide the best leaf guards for your gutters at a price our customers can afford! After you choose a Smart Gutter Solutions and model, we orders the product from our distributors and schedule a upcoming time for the installation. *Smart Gutter Solutions adheres to manufacturer guidelines and instructions to ensure we preserve the manufacturer’s warranty and promise the best final result for customers. That’s it!. Then we pick up all miscellaneous debris from the cleaning and installation and answer all questions before our service is done. Rain gutters are very important to a home. 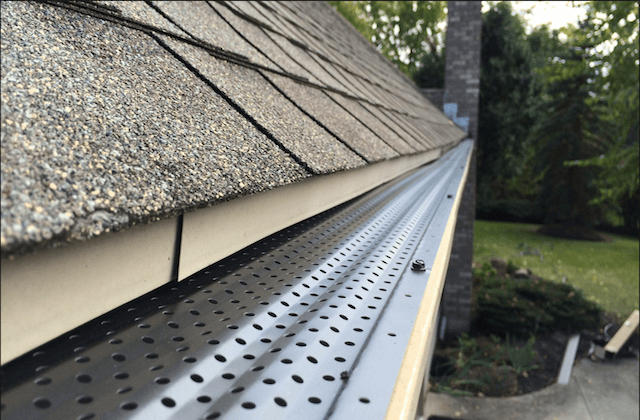 Clean gutters help to facilitate the stream of rainwater from a roof and guide the water to the downspout that funnels rainwater from the exterior of a house and its foundation. If gutters are dirty and rain starts to collect inside, the rain will also start to collect at the edge of the roof. This causes damage to shingles on a roof and can result in cracks. Cracks in the shingles can lead to leaking from the home’s ceiling which could lead to leaks in the home itself. To fix a damaged roof or rotted ceiling or floor is a very expensive repair project. A basement filled with water is not fun at all. Clogged gutters are a common cause for a flooded basement. Rain will flow from the gutter and collect at the base of a home right above the basement. Later, the foundation will begin to wear down and water that pools above the basement will start leaking into the basement. Oftentimes this will lead to mold or mildew growing and will ruin paint, rugs and other chairs and couches or decor in the basement. Pools of rain that damage or flood basements can also damage the foundation of a home. A home with a damaged foundation is not safe to live in. You will also realize that to repair a house’s foundation is a very costly expense and a necessity for any possibility of selling a house in the future. House’s with unstable foundations won’t pass an inspection. Pests and rodents gather to pooled rainwater. If rainwater stays in gutters for a long time, gutters will likely become the home to rats, mosquitos, termites and other bugs near your home. The issue might even worsen if the pests locate a way into your home through the gutters. Routine gutter cleaning and maintenance helps to eliminate any chances for a rodent or insect outbreak to occur. The appearance of your home is not the most important reason to clean gutters, but it is the most obvious. Debris that builds up in gutters can often be seen from neighbors, especially debris that gathers on the driveway. The overflowing water will also stain the siding on a house and deteriorate the appearance of roofing shingles. After enough time, a home with clogged gutters will appear uncared for on the exterior. One obvious issue that occurs from buildup and overflowing rainwater is damage to the gutters themselves. Organic debris and miscellaneous will eventually corrode the aluminum most types of gutters are made of. 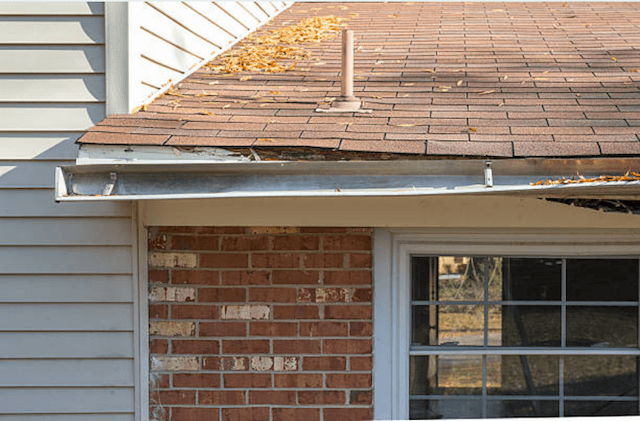 Damaged gutters often cause the same kind of home destruction as unclean gutters and will have to be replaced sooner than well maintained gutters. Our professional gutter cleaning, rain gutter repair and leaf guard installation will help to prevent these problems. These services will protect rain gutters and homes! Schedule today!